Samba Sensation Brazilian Dance Entertainment is a premier full service company serving the San Francisco metropolitan area, US cities, and abroad. We offer packages to meet every event need from small to large corporate entertainement. Our authentic Brazilian entertainment features feathered professional samba dancers and can be customized to include live Brazilian drummers, capoeira (Brazilian martial arts), fire dancers, stilt dancers, Gafieira couples (Brazilian ballroom) belly dance, regional Brazilian catering, and DJ entertainment. I was looking for dancers to perform choreography at my fathers birthday (Carnaval theme). Samba Sensation was the first to respond of many inquiries. First, *and* most flexible— they’re package deals work with any budget. They did such a great job it brought the party from fun, to amazing and memorable fast!! All the guests had a blast. They even brought us up to dance and made it interactive. They’re outfits are so beautiful and their dancing made me feel like I was in Brazil in a festival. Seriously!!!! I recommend them for your future party or event. Thank you for making my fathers birthday memorable for all of our friends and family. Thank you so much for the amazing review!!! It was our honor!! An AMAZING experience-- next level entertainment! Samba Sensation performed at my wedding and the show was absolutely FANTASTIC! They provided four incredibly talented dancers (including troupe Director Shaunte), who all brought amazing energy to the performance and took my wedding reception to the next level. My guests, who spanned all ages and backgrounds, were all blown away by the level of dancing and the stunning, sparkling costumes-- they were shining brightly even though it was dark outside! 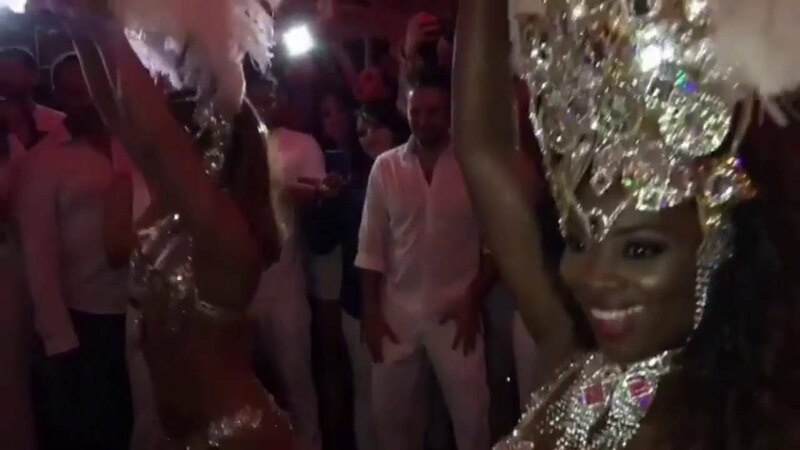 I was so happy to be able to give my wedding guests a taste of the Brazilian Samba I love so much, and Samba Sensation made it happen with professionalism, authenticity, and a whole lot of talent! Thank you for this wonderful review. It was our pleasure and honor to bring the spirit of Brazil to your special day! 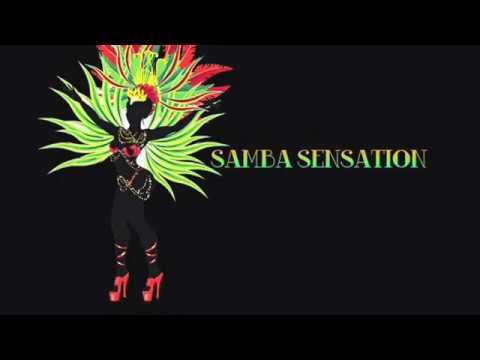 Samba Sensation danced at my wedding and the show was magnificent from start to finish. First, their costumes were gorgeous. Real authentic Brazilian customs. Their energy was captivating and I received a lot of compliments from my guests for their performance. They were very engaging with the crowd as they kick off the dance party! Shaunté, the director was very responsive, professional and flexible. It’s one of the best performances I’ve seen in my life! I would highly recommend them without hesitation. You won’t be disappointed. Thank you for such a thoughtful review!!! It was our honor!!!! We booked Samba Sensation for our wedding and I'm so happy we went with them! The ladies are beautiful, talented and so nice! All of our guests loved the performance and they really got the party going! Thank you to Shaunte and the ladies! Thank you for the amazing review!!!! It was absolutely our pleasure! We were honored to help celebrated your beautiful marriage! Cheers!!! Absolutely amazing and worth every penny! Beautiful ladies dressed to perfection, and danced to fun music. They were on time, very professional and made the party so much more fun and unforgettable. I got so many compliments from my party guests! I highly recommend booking your next event with Samba Sensation. Thank you for making my party a huge success! Thank you for taking the time to write such a thoughtful review. Thank you for booking us and it was our absolute pleasure!!! Thank you so much for hiring us to help celebrate your birthday with a Samba Show!!! Happy Birthday! Awesome!! True Proffesionals! Fun! Talented! The 4 Entertainers that came out were a perfect addition to our late entry into the Alameda 4th of July Parade. The walked the whole Parade in heels- amazing! The crowds cheered for them through the Parade!! Thanks for your help! Thank you so much for having us Yvonne!!!! We had an absolute blast representing your company!!!! I decided to hire samba sensation for my fathers celebration of life! My guest and I loved everything about their performance, drummers and costumes! Shaunte was very responsive and on top of everything. She even arrived early to make sure things went smoothly. They definitely made everyone feel like we we're part of a carnival! It was a wonderful, fun experience! I will definitely hire them in the near future!!! Thank you samba sensation for a unforgettable night! Thank you! It was an honor and our pleasure. We had a blast!!! Booking Samba Sensation Brazilian Dance Entertainment for your next event will provide an experience that your guests will never forget. Alegria!!!! (Portuguese for "Joy") is what carnaval is known for. We strive to ensure that your guests are comfortable and enjoy themselves. We are the perfect ice-breaker to getting the party started and your guests on their feet. You can expect to receive clear communication from start to finish. We are fluent in English, Portuguese, German and Spanish. We will work directly with you during the planning phase to ensure all details and expectations are met. We will arrive on time and set-up to be ready to perform as agreed. When requesting a quote, please include the following details: description of your event, time of your event, performance length, number of dancers (quote is based on 5 unless a specific number is requested), and preference for live drumming or recorded music. Our dancers are considered among the very top in the country. Under the direction of Shaunte Jackson, 2015/2016 Princesa do Samba USA (Princess of Samba), Samba Sensation is known for their authentic, professional, and quality samba shows. Most of our dancers have either lived, studied, or danced in Brazil and bring the joy and energy of Carnaval with them during shows. Our dancers come with years of experience in performing and are well equipped to provide high quality shows in a variety of unique atmospheres and environments.